Ali ne veut pas du mariage arrangé que lui impose son père, un riche marchand. C’est décidé, il s’enfuit ! Il n’en faut pas moins à Ahmed, son frère jumeau, pour semparer de l'occasion. Jaloux d’Ali, il décide d’usurper son identité pour devenir le seul héritier. Dans le souk, Ali a rencontré l’amour de sa vie, mais il a eu vent des manigances de son frère. Fakir, chameau et tapis volant, en avant pour le palais ! Accompagné de ses amis, notre héros compte bien prouver que le vrai Ali, c’est lui ! For several reasons, the first one being that it has an Aladin-like style but it's even more fun !!! With his twin brother, Ahmed, they are physically equal but their manners are simply the opposite from one another. Nothing exceptional in their lives until the father comes to Ali with a proposal that the son considers indecent: Ali does not want to hear about the arranged marriage that his father has agreed. So he flees away from his family! But Ahmed, his twin brother, seizes the opportunity to pose as Ali and thus becomes the sole heir. In the souk, where Ali is hollowed out in real life, unintentionally, he knows the love of his life ... and discover that he is an excellent seller.... yes! Thanks to his loquacity without comparison!! All is fine until he discovers the identity of the one who has stolen his heart, and until he knows the plans of his brother. 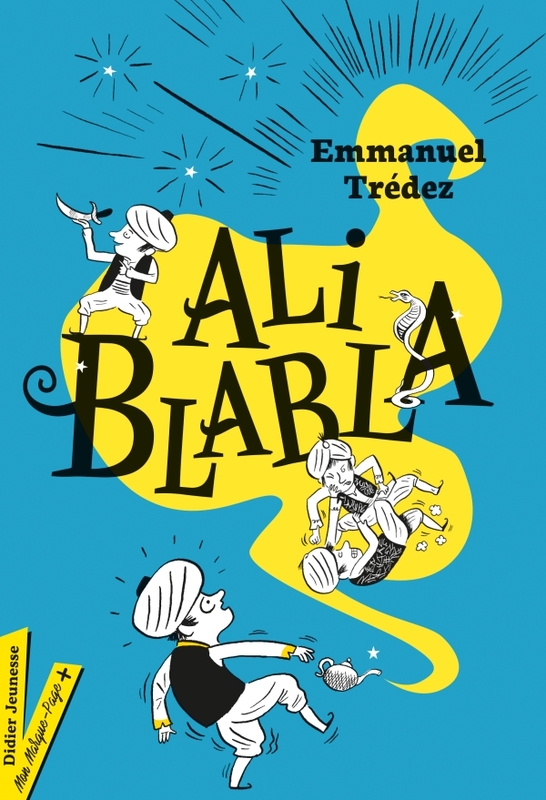 Camels, fakirs and flying carpet, this fun novel is a real delight! Accompanied by his friends, our hero has to prove that the real Ali is him, but it will not be easy!